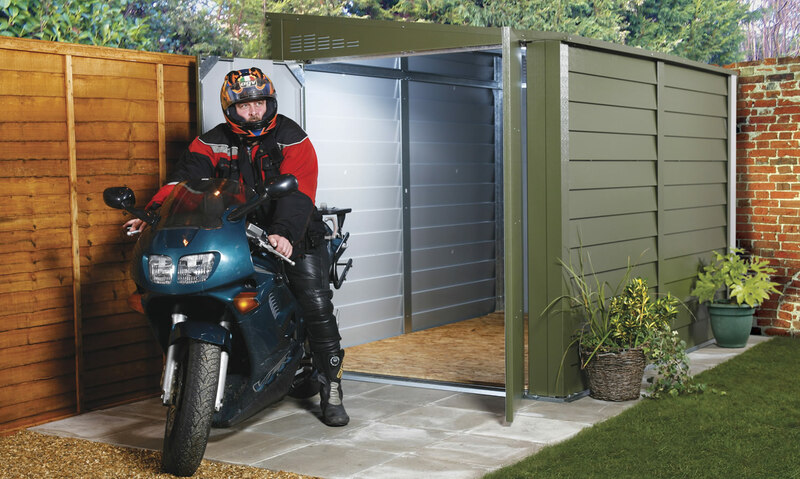 A standard Motorbike Garage is available which is suitable for general use, and for those requiring a high level of security the “Official Police Approved” Protect-a Bike is perfect. Three sizes are available in each range with the largest being able to store two machines side by side; all garages feature wide double doors for easy access. This model offers a good level of security and is ideal for general use. When you’re serious about extra protection for your motorcycles the Protect-a-Bike has all the benefits of our standard garage but has many additional security features. It has been tested and approved by the Loss Prevention Board and is the first and only motorcycle garage to achieve the Police SBD mark (Official Police Preferred Specification). Many insurance companies offer discounts if motorcycles are stored in Protect-a-Bike.